Customize an altogether better solution with the HP PC Mounting Bracket for Monitors, which lets you attach your HP Desktop Mini, HP Chromebox, or select HP Thin Client directly behind select HP Z Displays and EliteDisplays. - Maximize your available work area with a single-footprint solution. 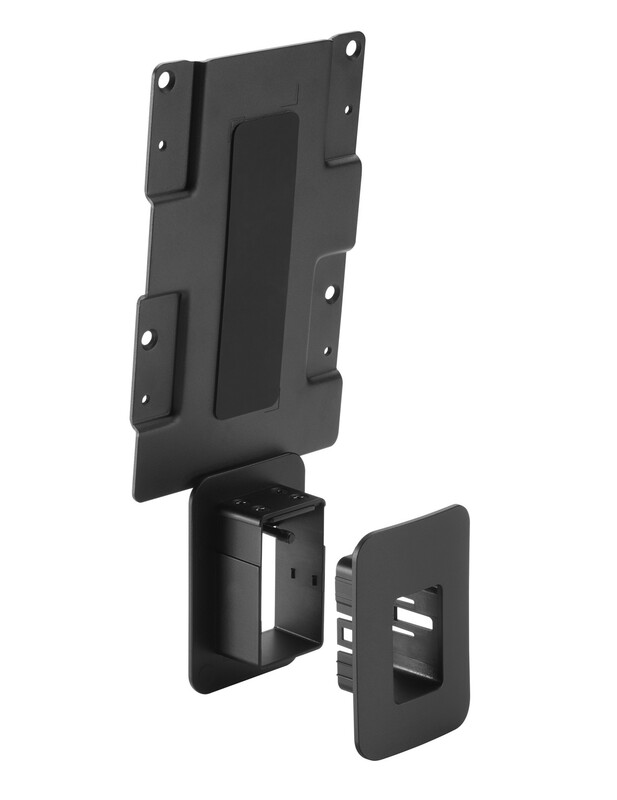 Simply attach the bracket to the back of your display, and your PC platform to the bracket. It’s that easy! - Retain the comfort features of your HP Elite Display or HP Z Display. The bracket doesn’t interfere with the monitor’s height adjustment, tilt, swivel or pivot settings. - Get the reassurance of a one-year limited warranty. - Desktop PCs: Compatible with HP Desktop Mini Business PCs and HP Chromebox that have a 100 mm x 100 mm VESA mount. Thin Clients: Compatible with HP Thin Clients that have a 100 mm x 100 mm VESA mount.